There was a BBC documentary from 2002 called The Century of the Self in which they detailed how the basic teachings of Sigmund Freud influenced mass consumerism. There's almost a direct line between Freud himself and "public relations" and from there to modern marketing. It's a fascinating piece of film, and worth seeing for a better understanding of how you're coerced into buying a bunch of crap you don't need. There entire thing (roughly four hours!) is available on Vimeo here. 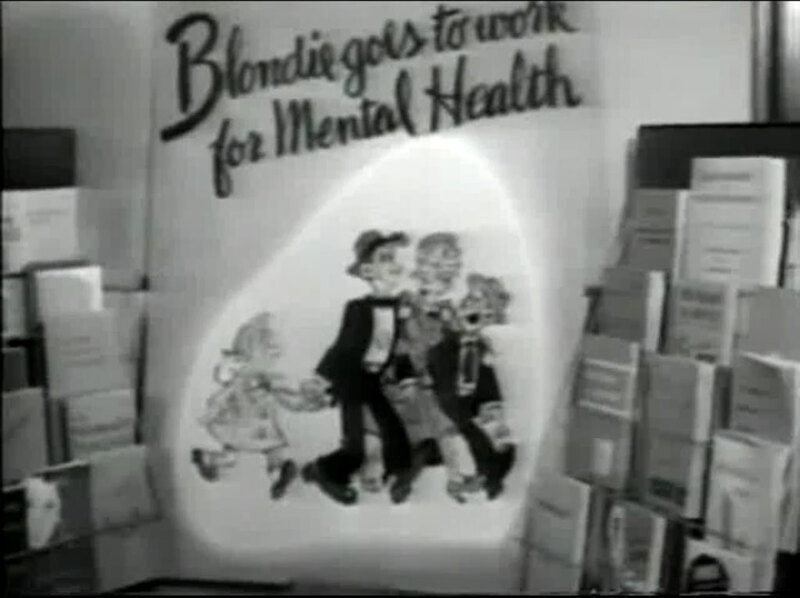 The narrator doesn't actually refer to Blondie and Dagwood specifically, instead casually glossing over it with a general "publications from the New York State Department of Mental Hygiene" type of label but it's clearly showing a promotion from 1950 that was highlighted over at Comic Book Legends Revealed just last year. One of the things I find interesting here, beyond the simple fact of the comics' existence, is that it evidently was featured in some video material from that time period as well. It wasn't just a publication that was printed up and sent out to doctor's offices or wherever. It was filmed as part of a promotion, probably shown to psychiatrists to encourage them to hand out a variety of material. The film was undoubtably short and forgetable. Even moreso than the comic itself. So I'm amazed that it manages to survive in any fashion. I have to wonder how many other snippets of film are out there like this highlighting other comics that are scarcely remembered these days?